Having a globe is cool – no doubt about it. The thing is, there are many different globes that are available for purchase, so which one would you choose? Why not settle for something that is out of this world? 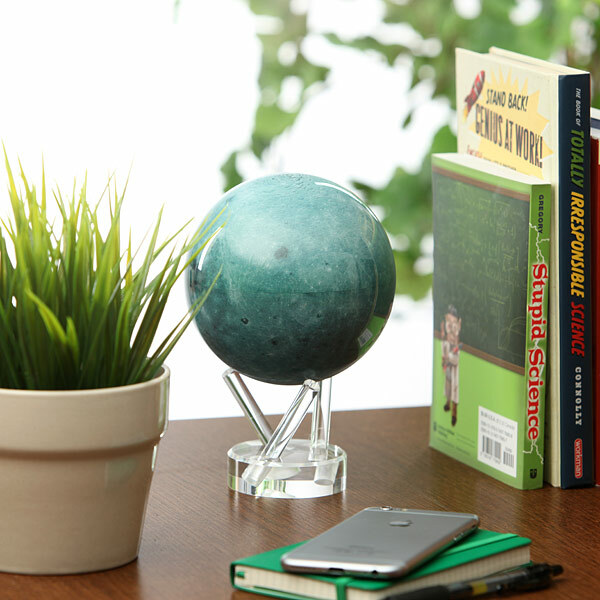 Enter the $144.99 Moon Spinning Globe, which would be similar in nature to the Mars Spinning Globe that we looked at before. The Moon Spinning Globe would do its bit to deliver some romanticism to your room, or wherever you decide to place it, of course.